The Sales Executive was very helpful and friendly. She explained everything to us very thoroughly. Looking for a new Ford Kuga for sale? Browse our extensive range of Ford Kuga cars and find our latest deals at your local Bristol Street Motors dealership. 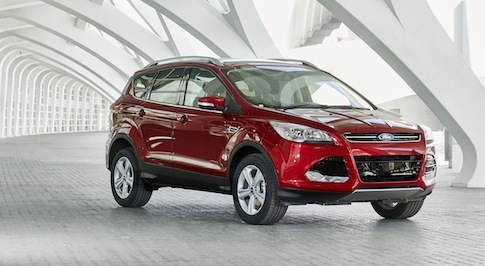 The Ford Kuga manages to rival the best of the crossover class of cars. Across the range, there are gutsy engines to choose from and a firm yet comfortable ride, this particular vehicle is superb to drive. Inside the Kuga, you will be treated to a spacious and classy feeling cabin, ideal for family road trips or to carry multiple adults. All trim levels come with an ample amount of equipment, including lots of safety features and impressive security test scores, which will come as good news for families. Visit your local Bristol Street Motors Ford dealership to learn more about the Kuga, its engine sizes, capacity and to take it for a test drive.